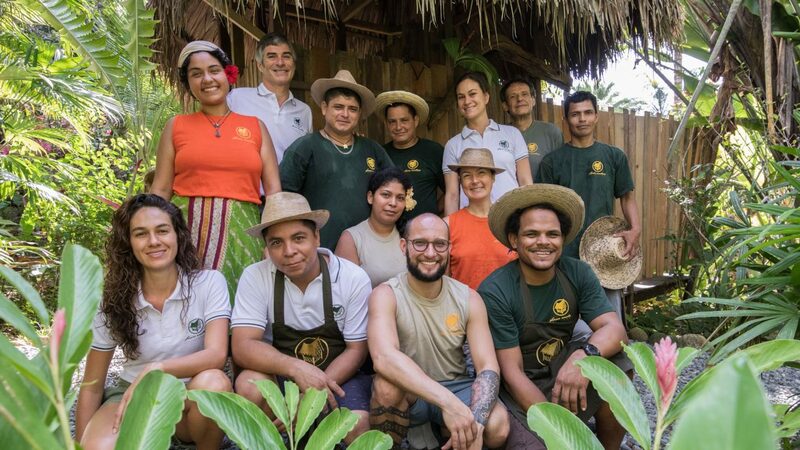 Finca Exotica is a sustainable eco lodge that provides an environment for people to learn, relax and grow ideas near Corcovado National Park’s lush rainforest. Finca Exotica was built with the vision of acting as a center for sustainability, art and healthy living while enjoying the advantages of a beach lodge next to the famous Corcovado. humbled by the miracle that life is. we make a difference and a change. the beauty and the beast that we are. we’ll be eternally free in the now. Ideas like this cross our minds as we are working, struggling and thriving to make sense. Here the ubiquitous beauty and the untamed wilderness, the energy of the elements, the ocean, the forest and the skies, teach us daily the rules of life and reward us with contentment to be part of it. We promote the exchange of seeds and knowledge. For us, the experience becomes deeper with every day and we invite you to share it with us. Markus spent his youth in Mexico on a tropical family farm. Reaching adolescence he moved back to Germany, where he chose to study Architecture in Munich while supporting himself as an event creator and DJ with his Romantic Laboratory (vanguard entertainment). Reaching the realization that the world did not need another office building or shopping mall he moved to Berlin. There, Markus took up action cooking with the infamous Gordon W. and his “scharfness institute”, while collaborating in various scandal event productions with artists such as Laura Kikauka and Gordon Monahan in their Funny Farm East venues. He also developed “ersatz exoticism” scenarios with Club 103, including the winter bikini shop. In 2001, Markus ventured out and began traveling Central America to scout out a new place to settle and realize his dreams. He was lucky to discover the property that is now known as Finca Exotica, an end-of-the-road spot surrounded by inspirational landscapes and breathtaking nature. With no prior experience as an hotelier, Markus spent the first 3 years building up the farm – an appropriate foundation for his ideal of a Center for Inspiration. During that time Markus traveled around Costa Rica visiting hotels and ecolodges for insights into how to manifest his vision. Since that time, he has been dedicated to creating the unique infrastructure and ambiance desired to manifest an Inspirational Institute. Gaby grew up in Heredia, in the Costa Rica’s central valley, but her heart was always in the jungle! In 2011, Gaby received her master’s degree in elementary school teaching, she also studied graphic design and marketing manager. 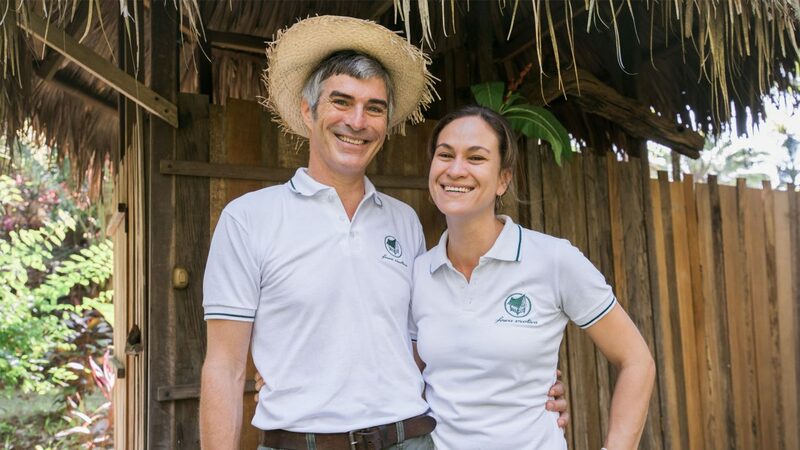 At Finca Exotica ecolodge Gabriela multitasks as administrator, manager, decorator, chef, and host. Her dream is to build a workshop where she can create art. Also loves to be surrounded by nature and the ceremonies that help to connect with Pachamama!